MARKHAM, ON – There was a focus on both indigenous traditions and the future success of Markham this week, as the city held a land acknowledgment ceremony and transferred land that will be the location of the future Markham campus of York University. 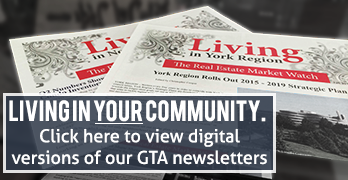 The transferred land is located in the fast-growing area around Markham’s new downtown. 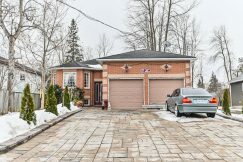 It is situated on Enterprise Boulevard, next door to the Markham Pan-Am Centre and just a short walk from Unionville GO station. This makes it an ideal location for a centre of higher learning, with the many bus and train services giving students a wide range of transit options. 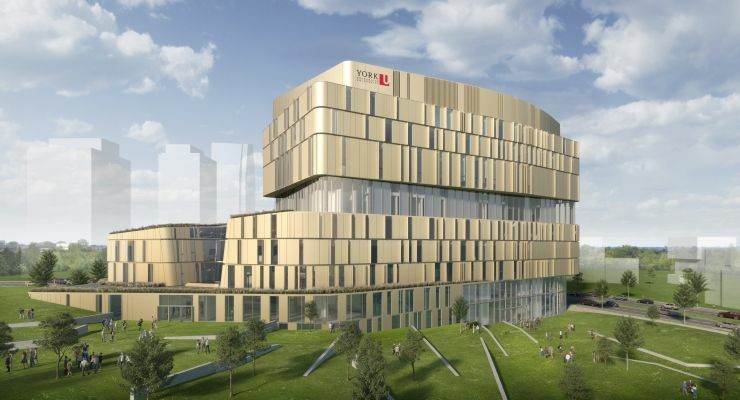 Now that the land has been transferred to York University the project can begin to move forward and, with the design phase well underway, building work is expected to begin before the end of this year. If all goes to plan, that means the campus should open its doors in September 2021 – just in time for the new academic year. Once opened, the campus is expected to host 1000 students, and that number will grow to 4,200 students by 2024. Those students will be able to choose from 20 degree programs in eight different field of study that will be offered at the campus. The project is slated to cost approximately $253 million. Last year, the government of Ontario committed to providing $127.3 million towards the cost of the project, with the Regional Municipality of York providing an additional $25 million. In return, the development is projected to bring in “$500 million in economic benefits from construction” . In addition to the benefits during construction, once completed, the campus is predicted to generate $37 million for the economy each year and will create 400 new on-campus jobs. 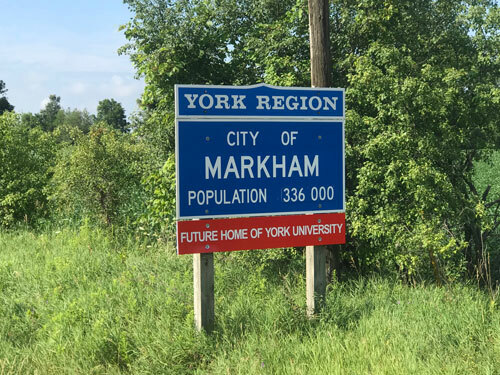 In acknowledgement of the exciting times ahead, on Monday, the city of Markham also introduced 23 new gateway signs that read “Future Home of York University” and will greet travelers as they enter the city. The signs help to show the excitement and anticipation ahead of a development that will add another layer to Markham’s growth as a truly great city – and they are certainly less controversial than the other notable gateway signs installed by the city in 2018.